Zotac、GeForce GTX 1080 TiなどをサポートしたThunderbolt 3接続のeGPU Box「AMP BOX」シリーズを発売。 | AAPL Ch. HONG KONG – December 21, 2017 – ZOTAC International, a global manufacturer of innovation, today introduced an amazing addition to its product line, the ZOTAC AMP BOX Series. 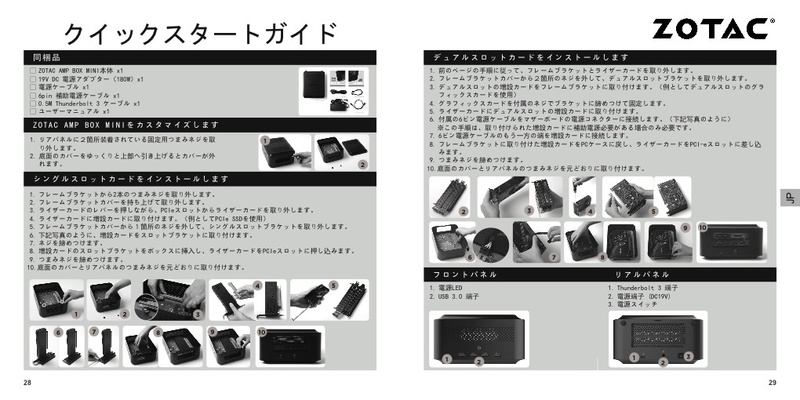 […]ZOTAC offers two models, AMP BOX and AMP BOX Mini. 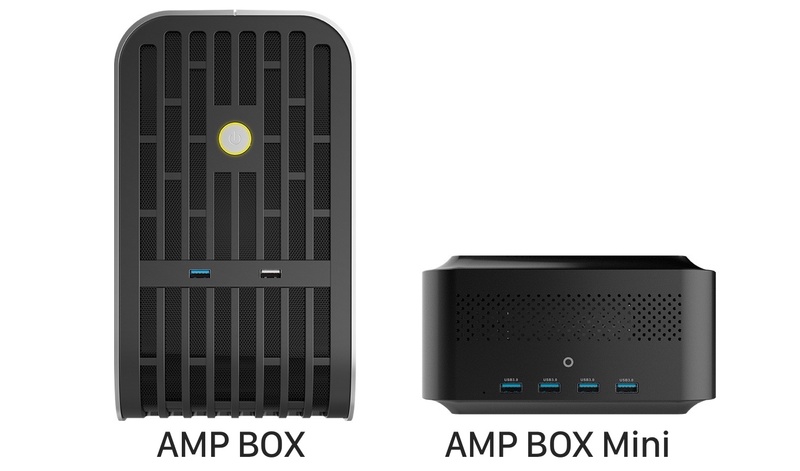 Both external boxes can accommodate dual slot graphics card and support up to an enthusiast-grade GeForce GTX 1080 Ti on the AMP and GeForce GTX 1060 graphics card* on the Mini respectively, enabling users to complement any Thunderbolt 3 compatible ZBOX Mini PC^, Notebook, or Desktop with the power to game beyond the limit.